As people advance in age there are necessary steps to take to help them unburden the physical demands of getting around. Helping aging parents organize their physical space to ensure their ability to move safely through their home is important, but it is important to help them reduce their mental strain too. Organizing paperwork and bills, showing them where and how to access vital information and reducing their clutter can help those in old age to stay safely in their homes without feeling overwhelmed and confined by clutter and disarray. The following is a guide to help people stay independent and mentally and physically uncluttered as they age. The best place to start is to assess the state of your parents’ home and formulate a plan for what steps should be taken to help them get organized. Go through each room in their home and pinpoint problem areas. · Is everything in the refrigerator fresh? · Are there rows of expired canned goods in the pantry? · Are closets filled to the brim? Prioritizing the clean-up schedule can help you and your parents stay focused an avoid feeling overwhelmed. When that starts to happen, it can lead to heightened emotions and discourse which, inevitably, stops progress in its tracks. Tip: Try not to be condescending or incredulous about what you find. You may see something that looks like it should be thrown away but, to your parent, it may hold sentimental value. Try to be as accommodating as you can, and take a breather for a few minutes if you need a break. 1. “Keep Until I Die” For items with sentimental value, such as family heirlooms, personal letters, wedding china, and photo albums. 2. “Appraise and Sell” For unwanted items of value. 3. “Keep with Me” For unsentimental items, such as furniture and art. 4. “Garage Sale/Donate” For unwanted items. Using this system, room-by-room can help you declutter and have a sense of how to organize items. In some cases, these projects have a tight deadline when moving or sickness are involved. When possible, the organization and decluttering process ideally should not be packed into one long weekend. It is a process that may take weeks or months. It is important to take time going area by area with your parent(s) and helping them part with items they do not need and helping them organize and familiarize themselves with a new setup. Emotions can flare when you are sorting a lifetime of belongings. Listening to your parents’ stories and reminiscing can help you get to know your parents better and know the story of their past from their perspective rather than your own. Instead of feeling overwhelmed and just trying to get it done, take a moment to appreciate the opportunity as a chance to bond with your parents. Sometimes, we are confronted with a task that is too large for us to handle on our own. You may need an extra set of hands and, perhaps, some expertise in organization. Local professionals can be found on Angie’s List or TaskRabbit and, if you want some skilled consultation, then Home Helpers can provide you with an assessment, strategy, and implementation to get your parents on the organizational fast track. They can be especially useful for people who live far away from their parents, and they provide specialized services for people with cognitive impairment (dementia, Alzheimer’s) with “Check-in” monitoring services. As parents age, they may not have the physical or mental strength to stay on top of staying organized. Time goes by and the items that accumulate can turn into relics stacked upon relics. Important paperwork can be scattered in the clutter and access and safety can diminish as the situation deteriorates. Helping your elderly loved ones maintain an organized and safe environment and providing them with a plan in the event of an emergency can help them live a longer, healthier life in the comfort of their own home. We hope that these steps are useful in creating your own action plan to help your aging parents. This information is solely for informational purposes. Andersen Wealth Management is a Registered Investment Adviser. Advisory services are only offered to clients or prospective clients where Andersen Wealth Management and its representatives are properly licensed or exempt from licensure. Past performance is no guarantee of future returns. 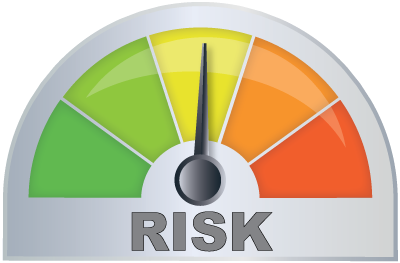 Investing involves risk and possible loss of principal capital. No advice may be rendered by Andersen Wealth Management unless a client service agreement is in place.